This is the Pen Sized Scanner from Hammacher Schlemmer. 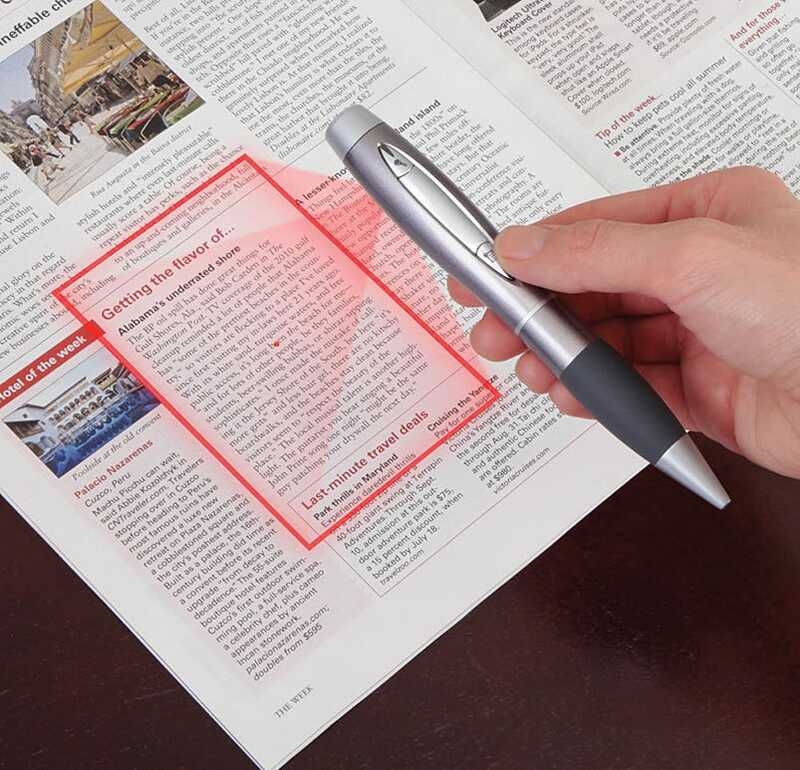 Why We Love It: This ballpoint pen/laser scanner slash recording device is as cool as you think. It has a high-precision auto-focus lens and a 5-megapixel sensor built into the pen that can scan images at 2048 x 1536 pixels. The pictures are then stored on the pen’s 1 GB built-in flash memory that can hold 1,000 photos, and can be transferred to a computer via a built-in USB plug accessed by twisting the pen apart. It can also record conversations with a microphone, and switches from a scanning device to a writing tool by turning a dial. It’s compatible with Mac OSX, Window 8, 7, Vista, and XP, and charges by plugging into your computer.